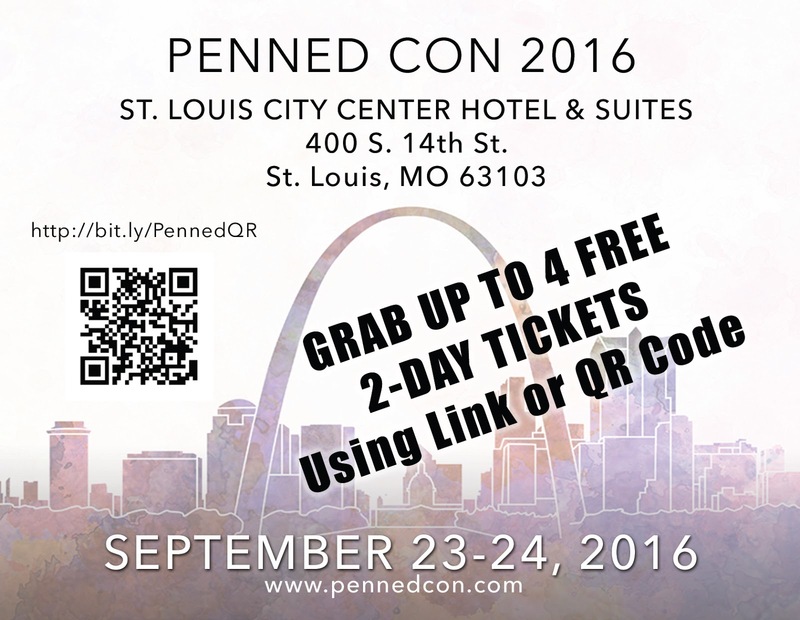 PENNED CON 2016, is a book fair featuring over 150 authors from across the country and locally from Missouri and Illinois. The event takes place on September 23 and 24, 2016 and offers a chance to learn from industry leaders about how to publish, market and grow your brand, join us for our keynote speakers, join in with games hosted by authors, panels, a luau awards ceremony and more! 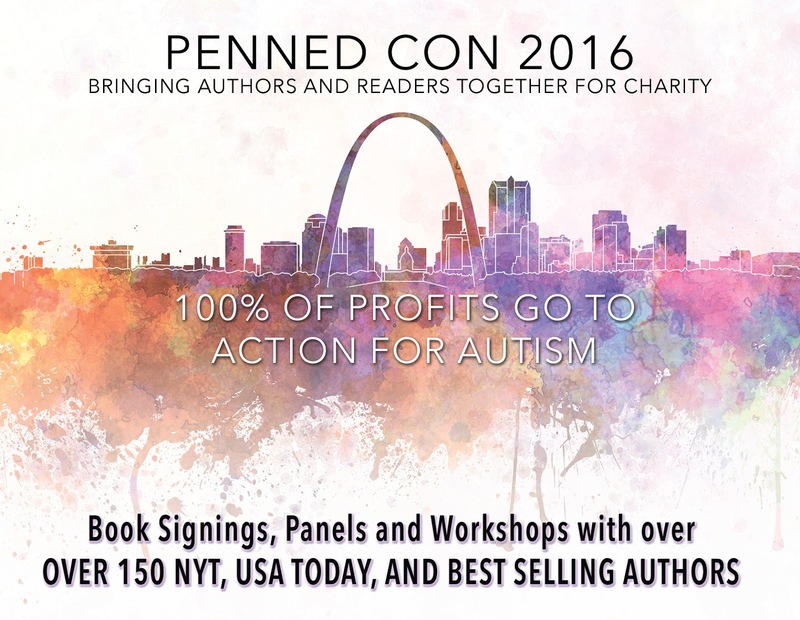 Penned Con is all about charity too, 100% of their profits from the event go to Action for Autism based in St. Louis. Since starting Penned Con in 2014 they have donated over $21,000 to the Penned Con Scholarship Fund and helped 6 families in the St. Louis area with therapy services. 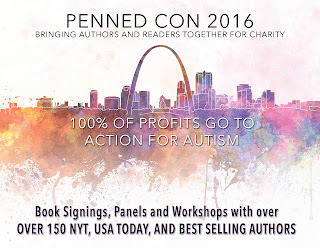 This time I wanted to focus on the authors who will be at Penned Con. It’s one of the largest lists of authors from varying genres that I have ever seen. If you like books, or need a gift for the book lover in your life you won’t want to miss this event. Here is a list of the 150 authors who will be attending. 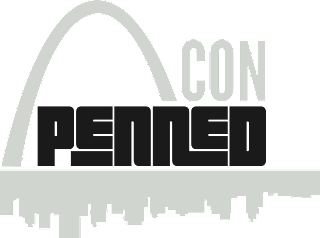 There are more than just authors, Penned Con has panels as well. St. Louis Writers Guild President David Lucas will be talking about Villains at 3pm on Friday, September 23. And you can ever register for up to four free two-day tickets to the event by using the QR code or link below. I’ll be at the St. Louis Writers Guild table representing the organization which is a sponsor of the event. So stop by and say hi, and then check out all the great authors and support a great cause. SLWG authors speaking at ARCHON!